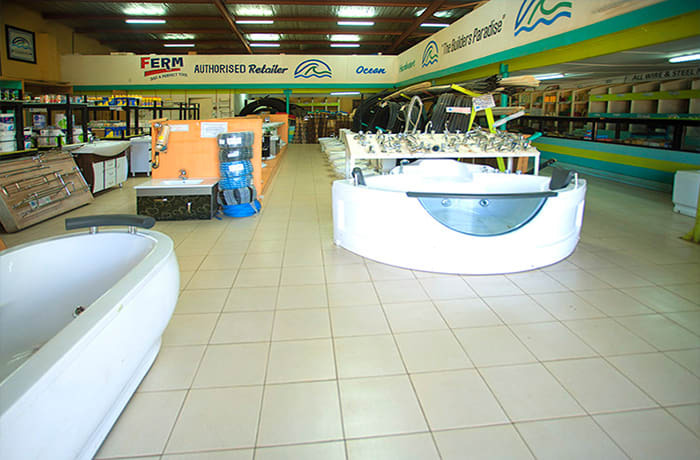 Foam King Manufacturers offers a variety of high density, superior quality mattresses, pillows, foam sheets, cushions, bed bases, wardrobes, lounge suites, school desks, dining tables, foot stools and many more. The company gives you a wide selection of products to add style to your living room or bedroom, with a year's warranty on each bed purchased. 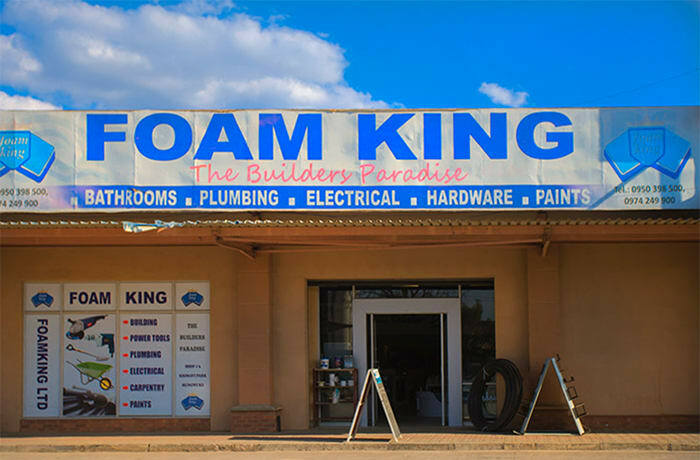 Foam King is a builder's paradise, specialising in building materials, power tools, plumbing supplies, electrical supplies, carpentry and paints. Friendly staff members can help you find what you need to start or complete a project. This store have a large variety of well known, quality brands and products. Wrapped in an array of different quilted fabrics ranging from cool bamboo fibres, to soft knit breathable fabrics, tape-edged on all sides. 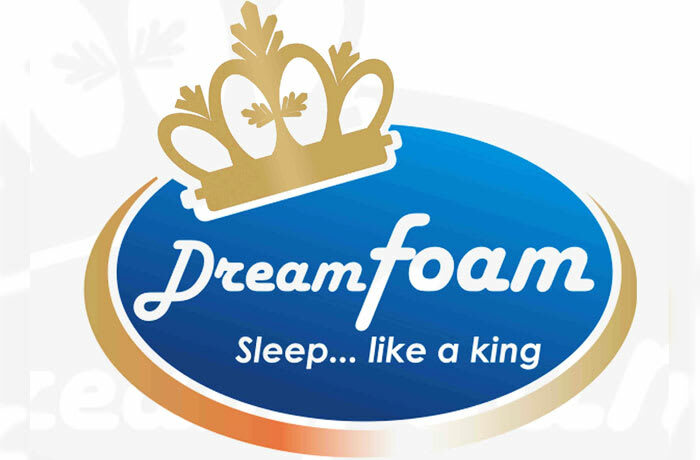 Branded as Dream Foam, Foam King manufactures quality foam for its mattresses that comes in three grades - silver, gold and platinum. 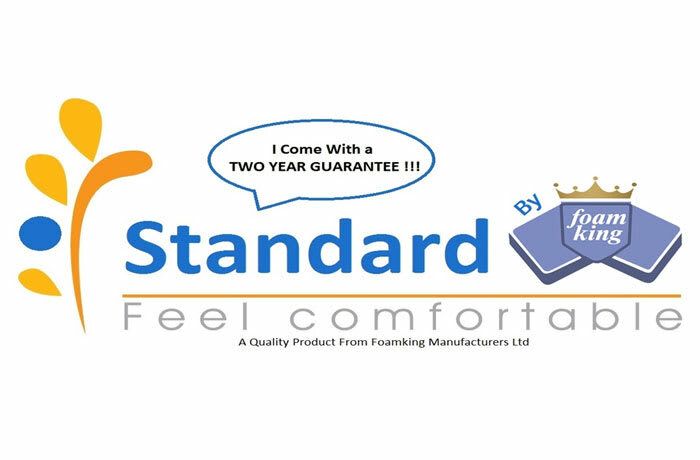 The company also produces Standard, Comfort and Resteezee mattresses. Consists of a core comprising of 6' of 25 high density Polyurethane (PU) foam and topped with a 2' Visco-elastic (memory) foam layer wrapped in a quilted and tape edged cover that is underlined with spun-bond and foam-sheeting which provides a better look and softer feel. DreamGold Has a core comprising of 7' of 25 high density Polyurethane foam and topped with a 3' Visco-elastic (memory) foam layer wrapped in a quilted and tape edged cover that is underlined with spun-bond and foam-sheeting which provides a better look and softer feel. The cover fabric will be of slightly higher quality in terms of feel and look and the total thickness is 10'. 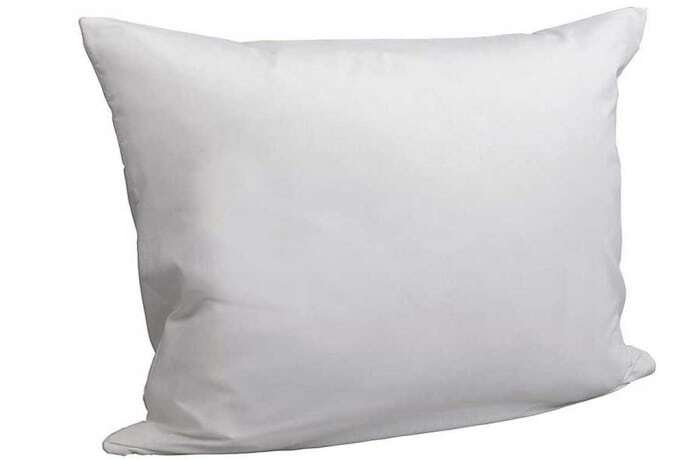 Consists of a core comprising of 6' of 25 high density Polyurethane foam, supporting a middle layer of 2' of high-resilient (HR) foam and topped with a 2' Visco-elastic (memory) foam layer wrapped in a quilted and tape edged cover that is underlined with spun-bond and foam-sheeting which provides a better look and softer feel. This is the company's highest and most comfortable category in the DreamFoam range as it provides the ultimate comfort due to the incorporation of the high-resilient (HR) foam sandwich. The outlook will be more attractive in the type of fabric and pattern of quilting that will be done to the cover. Initially designed for NASA. This foam has a molecular structure which makes it pressure sensitive to allow parts of the body that exert a lot of pressure sink into the foam further than the rest of the body. It is heat sensitive, thus body heat further allows depression of certain pressure points. This posture support created during sleep will allow tension free alignment of the spine. The Polyurethane (PU) foundation layer provides the support required to maintain the corrective position and not allow the memory foam to have the opposite effect (by inverting the posture and spine). 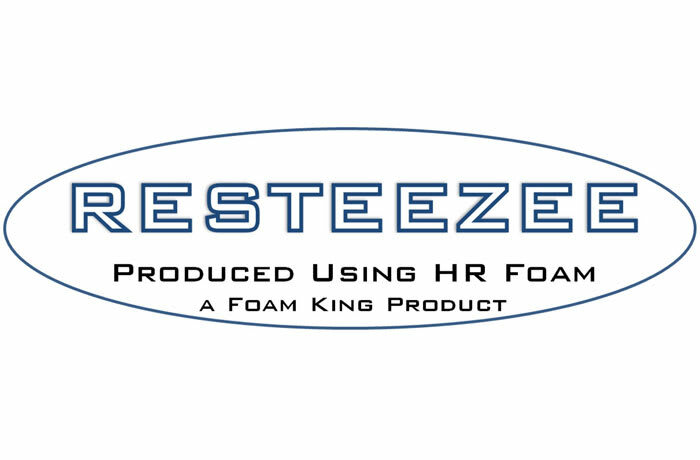 Branded as Resteezee, this product is manufactured using HR foam. This foam was originally designed to be used in furniture for boats and cars due to its buoyant/resistant property. It has a rubber/springy feel, thus works very well as an underlying support layer to balance out the body for even weight distribution. (In effect it works as the spring coil equivalent without the worry of the springs wearing or popping out over the years). This is a signature product that solidifies the company's place in the market. Each mattress is carefully manufactured to ensure a superior quality, high density mattress for a perfect night's sleep. This is a flagship product that has gained significant popularity since inception. The unique and identifiable floral fabric bearing the company's name allows its customers to recognize their investment in a quality mattress. 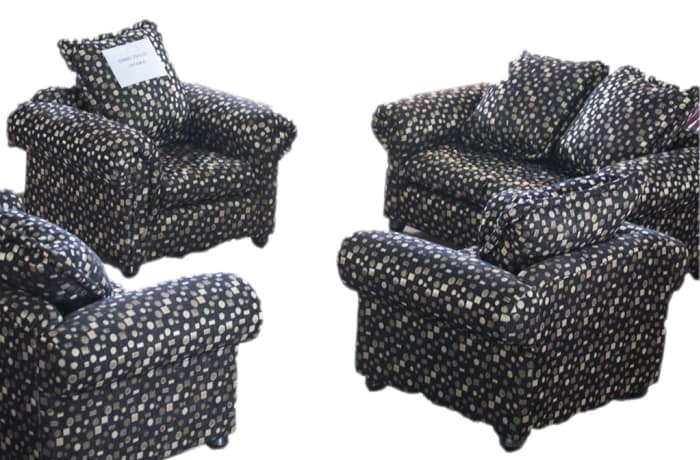 A newly developed range that strikes the right balance between price and comfort. With a slightly lower density, Foam King still guarantees comfort and value for money. This product range is covered in an array of fabrics making it easily identifiable from the 'ComfortKing' label inserted into each cover. 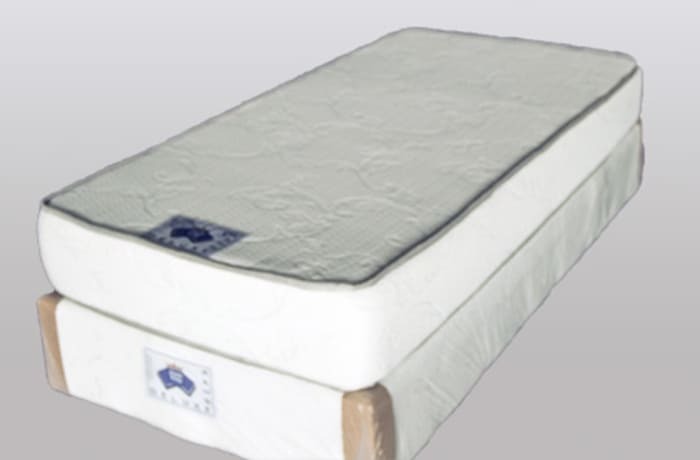 This is an ultra-high density foam mattress topped with a two inch layer of High Resilient (HR) foam. From a quilted and tape edged cover, to a springy feel and firm foundation, this mattress assures a perfect slumber to its elite customer. Made of a kilned dried pine wood frame with hard wood central support slats. The frame is cushioned by Polyurethane (PU) foam sheets and covered with quilted fabric. The total thickness/height is 12'. The base has hardened PVC push-type legs supplied with each base for sizes single, three quarter and double. The queen and king sizes come with hard wood sculpted legs. 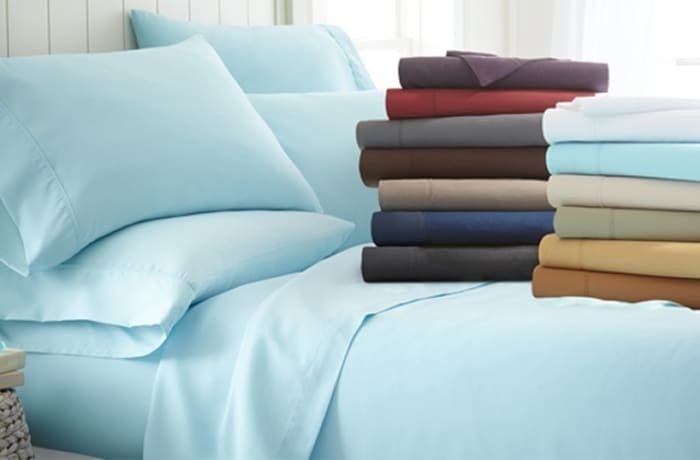 Luxury bed linen in an array of plain and design plush fabrics to give your bed the perfect look, and ultimate comfort. 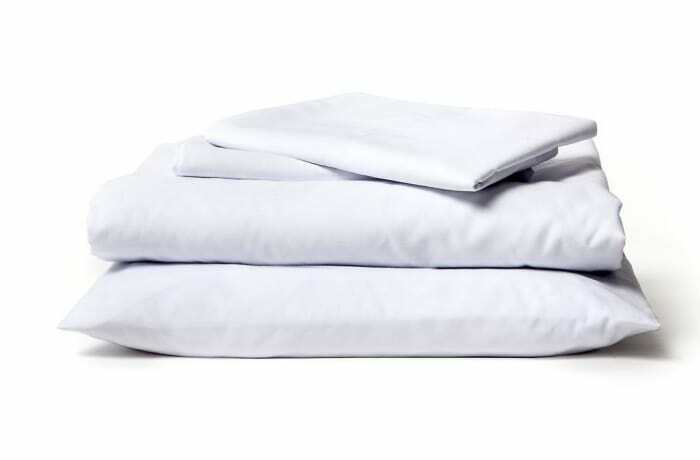 Each pair packed with two pillow cases. Come with a white, foam-lined cover stuffed with fine foam chips. Comprises of a folded foam sheet, covered in various fabric types. 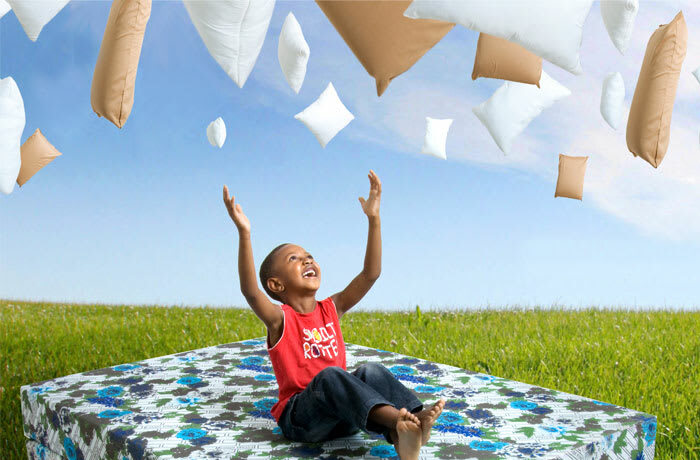 Foam King provides high quality single, double, queen and king size bed bases, and mattresses. Clients get a one year warranty on each bed they purchase. 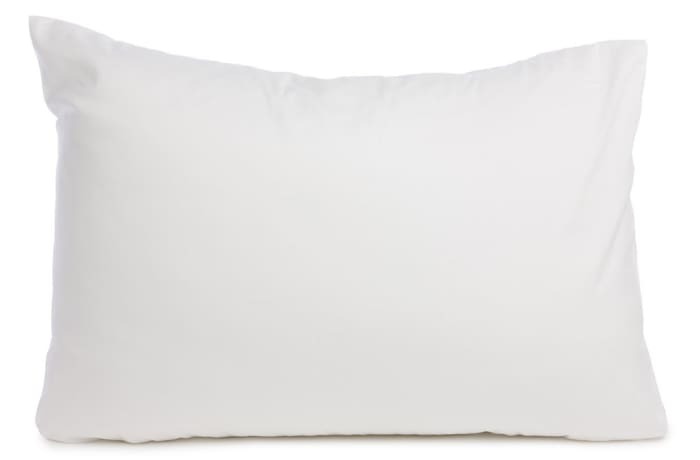 To enhance their comfort, clients can choose from a wide selection of pillows. 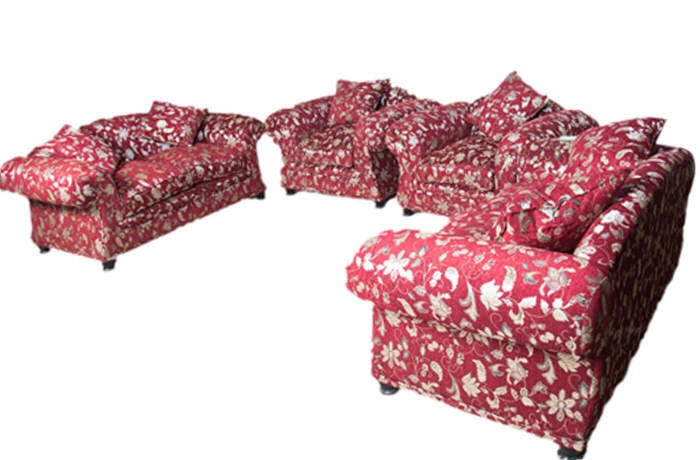 Furn King, a brand of Foam King, offers quality tailor made couches that are perfect for domestic and commercial use. 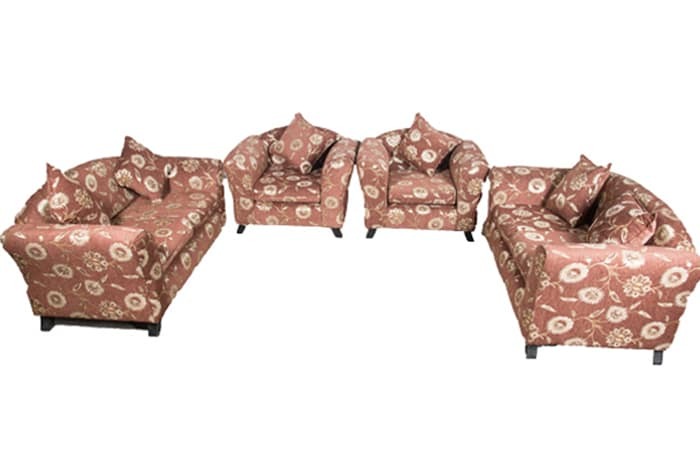 For cosy snuggle times at home, Foam King’s affordable fabric sofas and other seating give you many years of comfort in different colours and style. Most have covers that you can machine-wash or dry-clean, so you can rest easy when the kids eat sweets and chocolates in front of the TV. For all our models you can get new covers whenever the makeover bug bites. 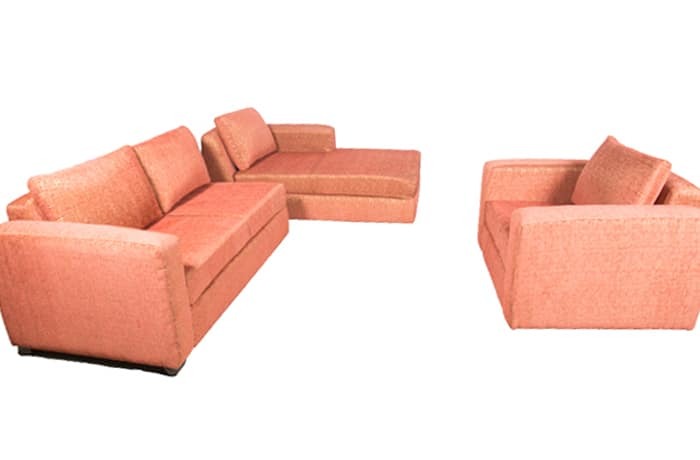 Diana sofas - Peach coloured high quality lounge set. Combine size and shape to fit your space, and create a favourite spot for each family member. The handy pockets on the sides keep remote controls from getting lost under pillows and throws. 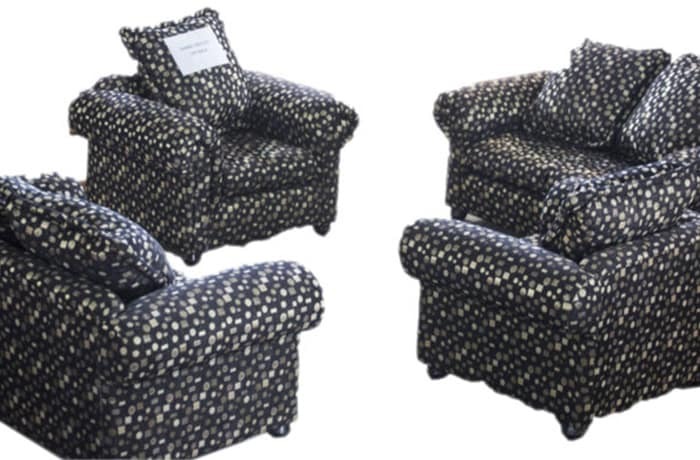 Sofa side stools - Amazing side stools made from the finest fabrics to go with your lounge or sofa set. 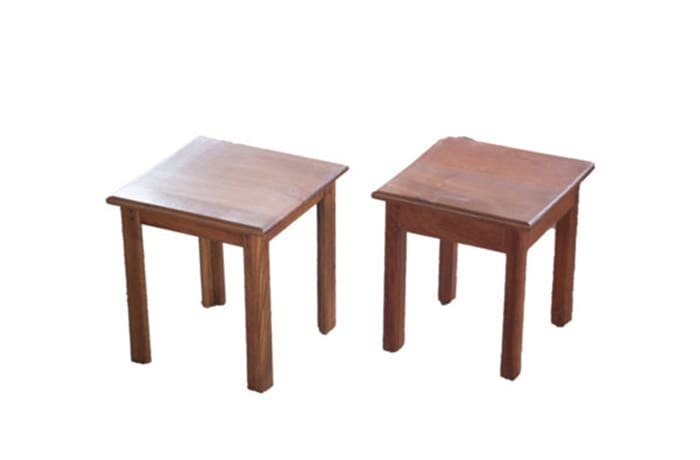 Wooden side tables - Made from the finest Rosewood in Zambia. Perfect for your interior decor at home, office or hotel/lodge. 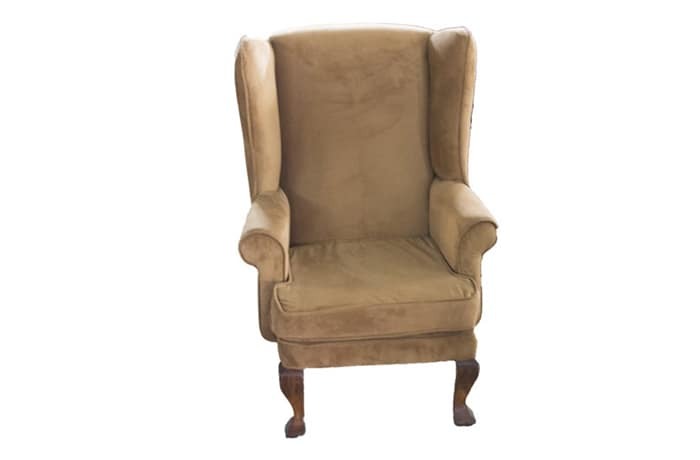 Executive lounge chair - Executive chair to fit in your lounge or study room. 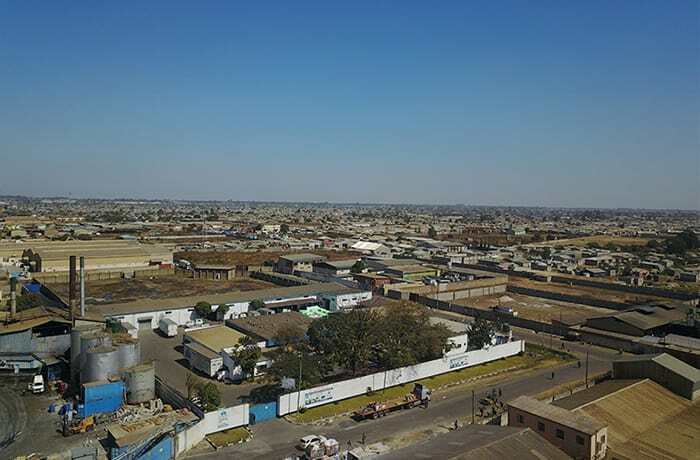 Proudly made in Zambia. Wooden side tables made from the finest Rosewood in Zambia. Perfect for your interior decor at home, office or hotel/lodge. 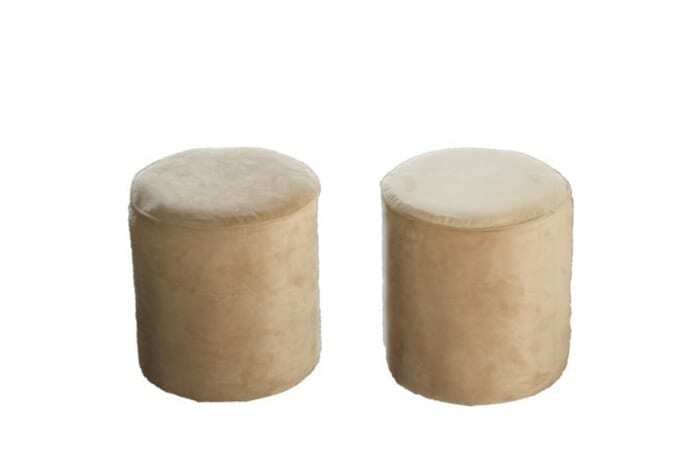 Amazing side stools made from the finest fabrics to go with your lounge/sofa set. Executive chair to fit in your lounge or study room. Proudly made in Zambia. 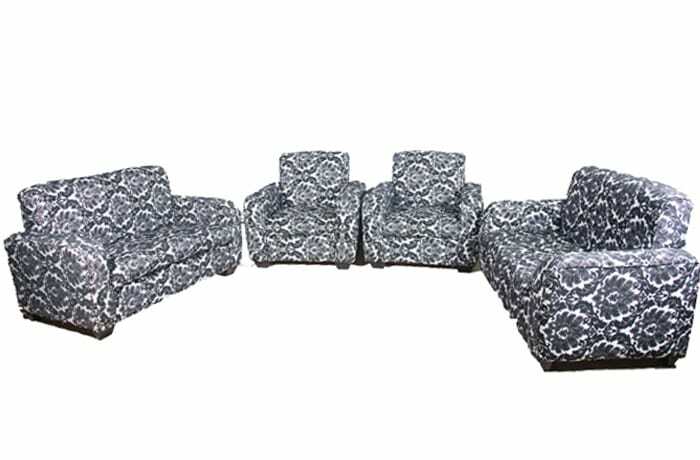 Beautiful lounge suites with superior quality upholstery material. Foam King provides a wide range range of durable domestic and commercial hardware products for all purposes. 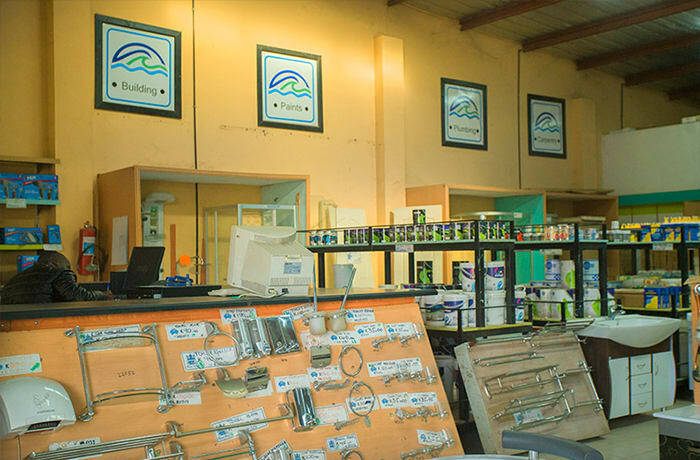 The team members at Foam King pride themselves on their product knowledge and the information they can provide you when purchasing products, from large power tools through to general hardware items such as door hinges.